This 560 square foot bungalow decorated with Balinese-style furnishings is divided into 2 rooms. There is a divider wall between the two rooms that is semi-private (you can see thru to the other side) The bungalow has a shared bath between the two rooms. One of the rooms has a slight ocean view. The bungalow boasts two new King Tempur-Pedic mattresses with Ritz-Carlton linens. Your room includes a mini refrigerator and air conditioning which is very rare for the island! The kitchen is available for your light use. The main house also offers a dining area and living room with cable television. 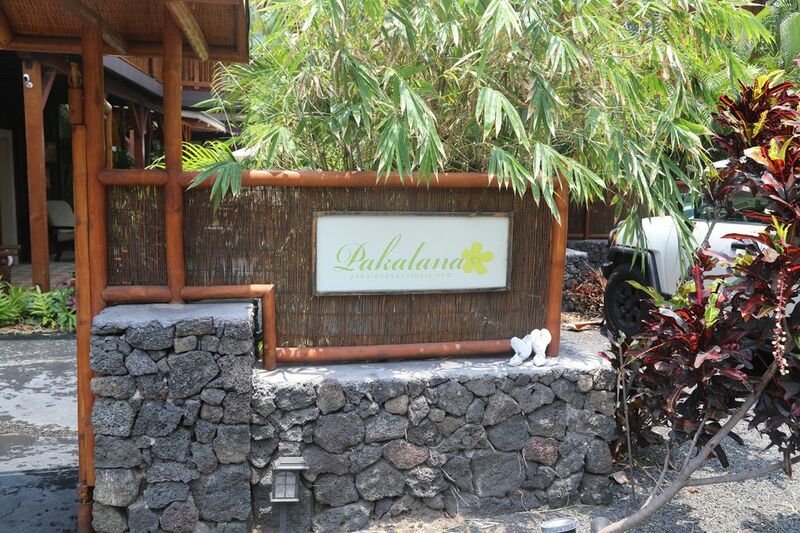 Loved our stay at the delightful Pakalana Sanctuary! Our stay at the Pakalana Sanctuary was a big highlight of our visit to Hawaii! Everything from the beautiful peaceful setting on the property, the simple but tastefully appointed rooms with the incredibly comfortable beds, and the gracious hosting of both the owner and manager. We also loved being located on the south Kohala coastline with the incredible proximity to wonderful beaches, amenities, and cultural sights. A true gem!